We have tried a bit of this and a bit of that over the 7 years we've been parents and lived and traveled with our 3 kids. I started out gung ho homeschooler, with lofty aspirations of speeding through curriculum and achieving all sorts of goals... Brooke was a pretty willing student most of the time, she learns quickly and likes to learn. Along the way there have been plenty of curves in the road, good days and bad, doubts, and successes, but when I reflect on it all, I feel what we are really doing and inspired to do, is WORLDSCHOOLING! Every so often and honestly more often than I really would prefer, we reflect, regroup and route plan for the next phase. Sometimes its exhausting, because when you open yourself to learning from the world, the options are endless and while there isn't a right or wrong answer, there can be good and better choices. We think about each new phase trying to take into account each of our interests, needs, and desires, and not get too attached to any certain place or situation, knowing that we can stay as long as we want, but there are new learning experiences and discoveries in our path if we choose to move to a new city or country. As time has passed and we've lived and traveled our way around Europe, we've come to believe that it means making the most of our location in the best way we can taking into account the needs and interests of each individual. So, this can mean school, it can mean classes, it can mean, taking weeks or month off to travel, relax, whatever we decide at the time. This mindset is important to me because when you start roaming off the well trodden path, you need something to keep you focused and people to identify with. I've realized I don't completely identify with unschooling, or schooling indefinitely, or strict homeschooling either and I don't want to limit ourselves to anything. So we are always free to change our minds completely based on what we feel is best for the individual kids at that time. 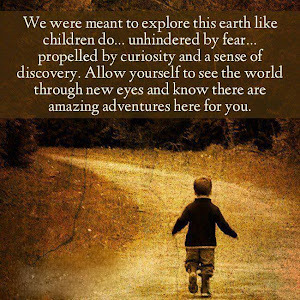 So, meaning we do some homeschooling, some unschooling, some worldschooling, and some school, hoping to learn in a natural way from people we encounter along the way.